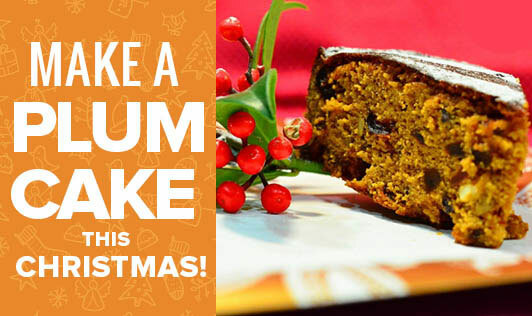 Make a Plum Cake this Christmas! Plum cake is very popular in every house hold during Christmas! This year, why don't you try your own recipe of plum cake and surprise your family members and friends? • Now add walnuts, cashews, raisins, dates, and cherries. Mix well. • In another bowl, whisk butter and brown sugar until creamy. Add vanilla essence, eggs and lemon zest. • Bake for 15-20 minutes. Once done, cool it. Delicious Christmas plum cake is ready to eat!